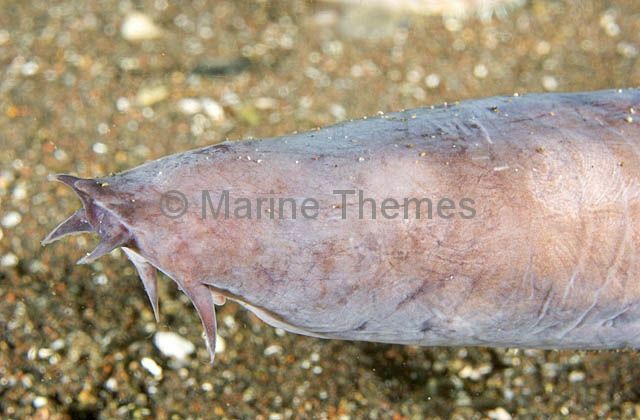 Okinawa Hagfish (Eptatretus okinoseanus) portrait. 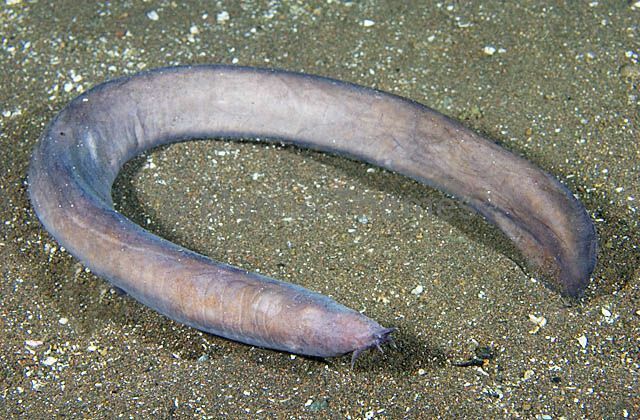 Blind deepwater scavenger. 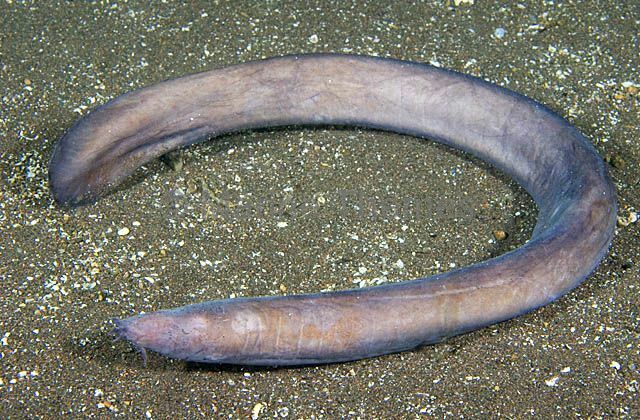 Member of the small but unique group of jawless fishes. Found in 300 to 1000+ meters. 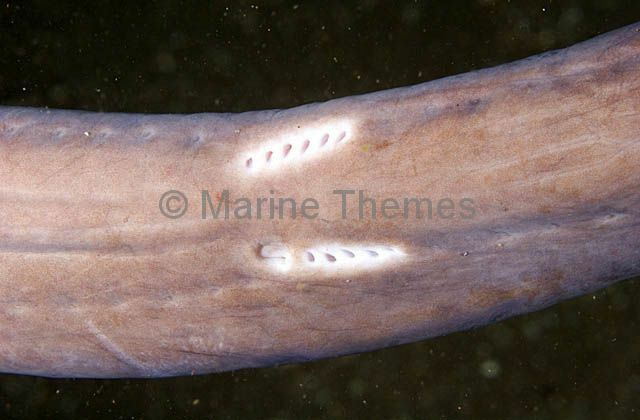 Okinawa Hagfish (Eptatretus okinoseanus) Detail of mucous pores on underbelly. 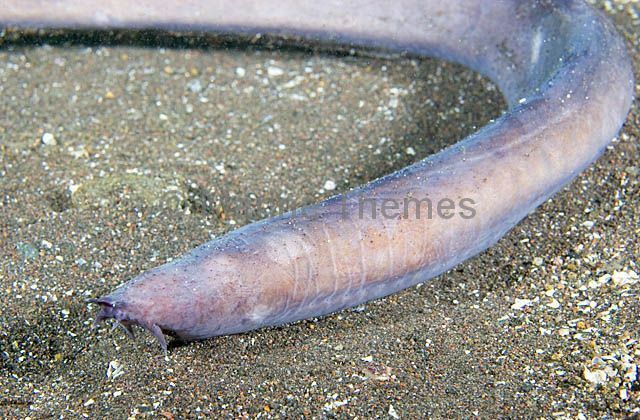 Okinawa Hagfish (Eptatretus okinoseanus) Deepwater scavenger. 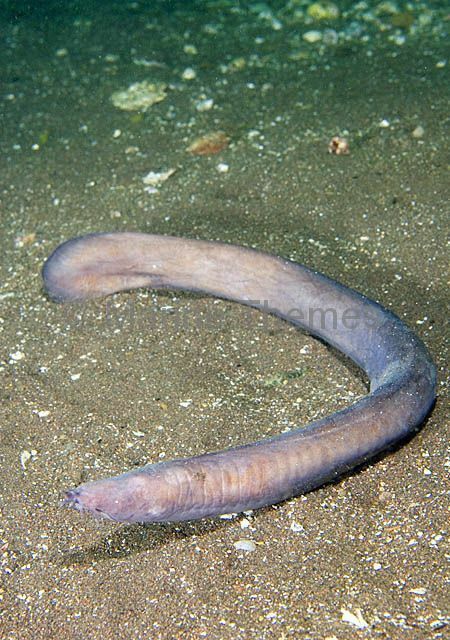 Member of the small but unique group of jawless fishes. Found in 300 to 1000+ meters.